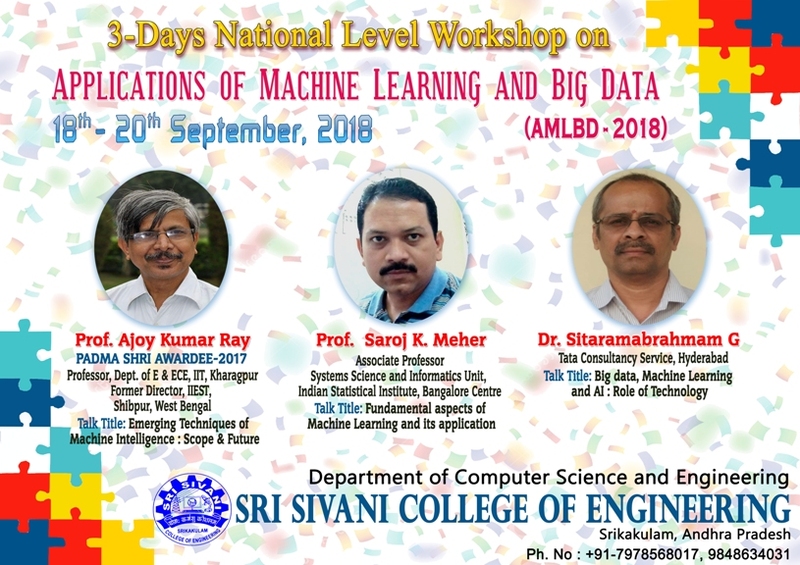 News Updates National Voters Day on 26th September 2018 A Three Day National Level Workshop on Applications of Machine Learning and Big Data(AMLBD 2018) from 18th September to 20th September 2018 Organised by CSE Department AMLBD-2018 Invited Speakers Engineers-Day 2018 A Three Day Workshop on Internet of Things from 17th September to 19th September 2018 by Dept of EEE A Poly Tech Fest-2018 held on 10th & 11th September 2018 by Sri Sivani 2nd Shift Polytechnic College A Three Day Workshop on Cyber Security from 10th September to 12th September 2018 A Three Day Workshop on Internet of Things from 04th September to 06th September 2018 Freshers Day Celebrations are being held on 01st September 2018 A One Day Programme on Spiritual,Mental Ability by Sri Jagannadha Swamy on 30th August 2018 Dr.G.T.Chandra Sekhar Garu Professor & HOD-EEE on achieving "Young Acheiver Award-2018" for his research contribution in the field of Electrical Engineering from IEAE Bangalore. SSCE, a higher-education institution, provides an excellent opportunity to students for acquiring specific skills and knowledge, fostering their creativity and nurturing their innovative prowess leading to their intellectual development. The holistic development of the students would ultimately bolster empowerment. The near 12 acre campus is pollution free and is set in salubrious environs accentuated by its lushness and vibrancy. An MOU was signed between SSCE of Chilakaplem and Talent Sprint of Hyderabad. 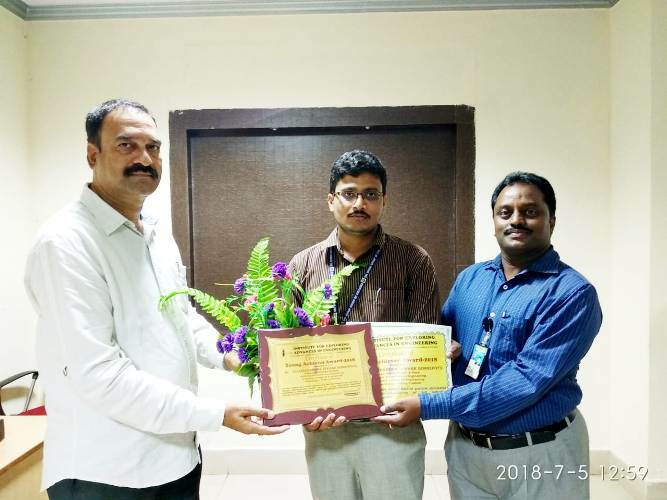 JKC is a initiavive of institute for electronic governance (IEG) of the department of IT and CIVIL..
All Admissions are under control by Andhra Pradesh State Council for Higher Education (APSCHE). All admissions made are in two categories i.e. A &B. Category A: 70% of the total seats are through common carried out by APSCHE. Prof. H. Ishibuchi,SUSTech,China visited our campus on the occasion of International Conference on Soft Computing in Data Analytics. 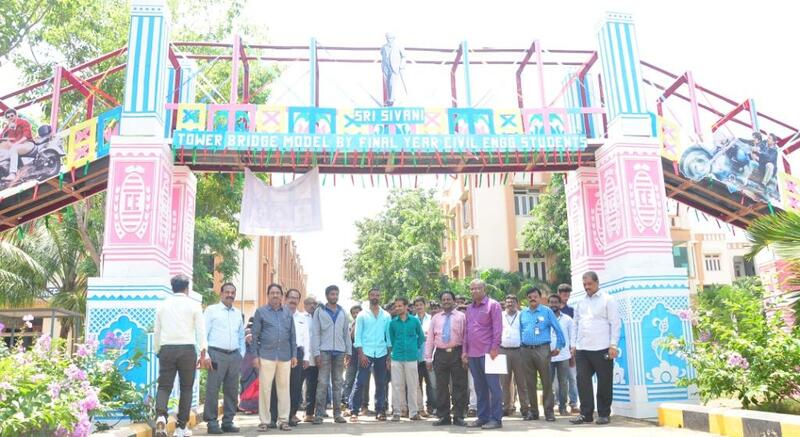 Prof. P. Uday Bhasker garu visited our campus on the occasion of National Level Technical symposium Sivani Sparkles. 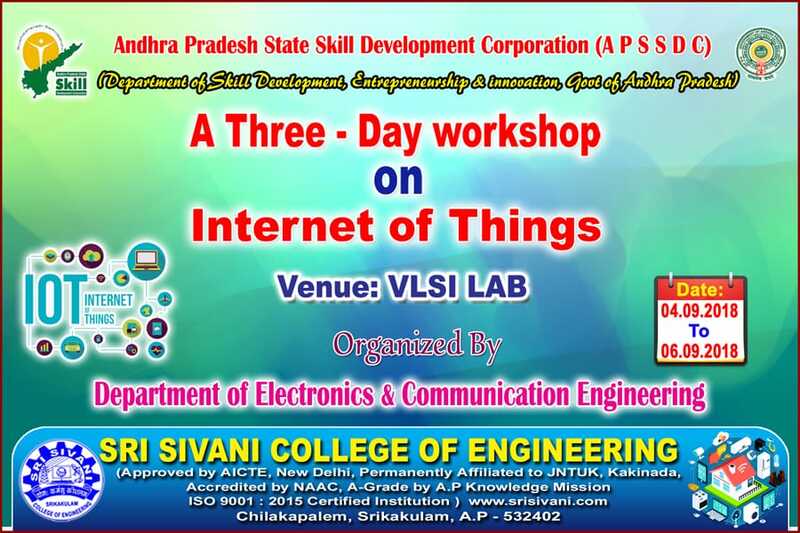 Shri A.S Khan garu visited our campus on the occasion of National Level Technical symposium Sivani Sparkles. Hon'ble Chief Minister Shri Nara Chandra Babu Naidu garu visited our campus to give impetus to student skill development. Smt Killi Krupa Rani Garu visited our campus in the occasion of Youngistan. 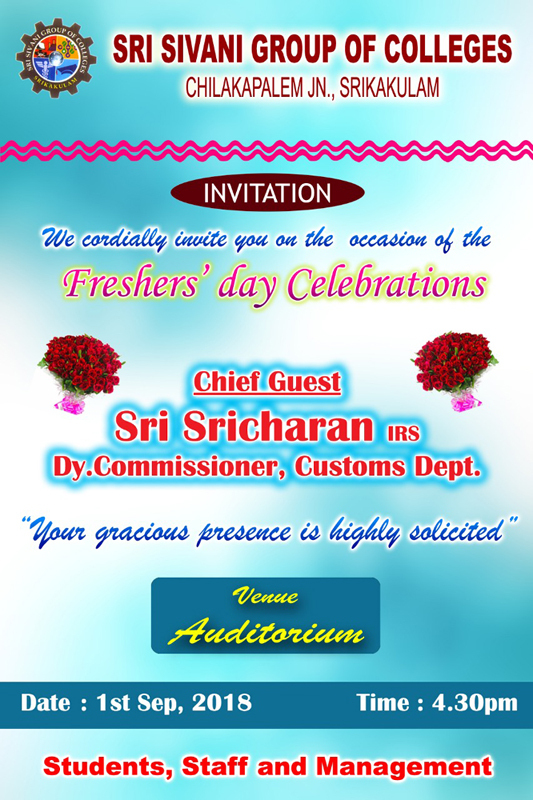 Sri Yandamuri Veerendranath visited our institution in March 2010 to motivate the students. 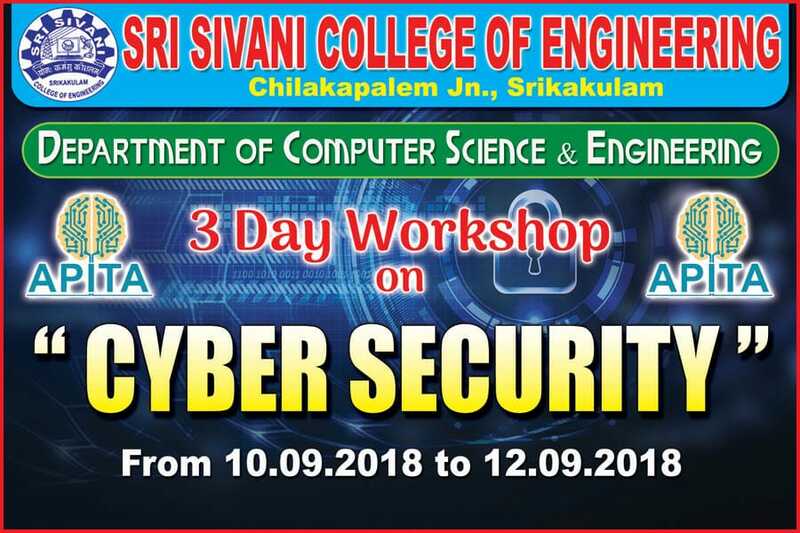 Prof.Chorra Satyababu of NIT Rourkela participated in the seminar organized by Department of Computer Science Engineering. 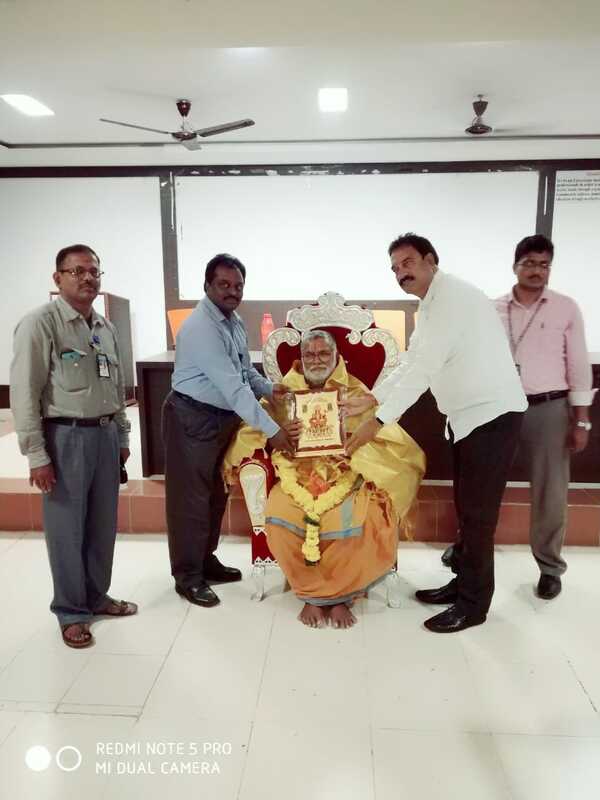 “A Program on faculty awareness on motivation” has been organized by SSCE by Prof A.L Mohan, Rtd, Principal. on 3rd Feb 2014. On this Occasion Prof. & Dr. G.V.R. Prasada Raju garu, Director , Acedamics and planning of JNTUK is lighting the lamp of innaguration of DAKSHATA 2011. Sri Sourab gour , The District Collector, Visted the campus to look Blood Donation Camp By SSCE.